Bob and I left Elko Monday at 5:00 in the dark and drove straight through, stopping only for fuel, to Dry Creek ahead of last night’s storm that threatened to close Tehachapi Pass. Montgomery Pass was 4 x 4, touch and go, but we made it home by 4:30 p.m. 2.74″ total rain while we were gone. 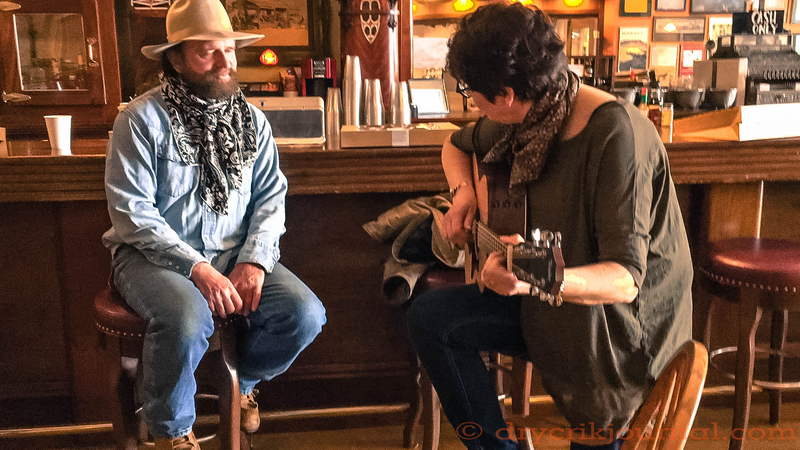 Sunday a.m. at the Pioneer was a special treat listening to Mike Beck and Denise Withnell make Robbin’s guitar sing above the goodbyes of poets and performers leaving for home. We brought the guitar to Elko so Denise would not have to wrestle her own on the airplane. She and Dave Wilke were backing-up several Sid Marty performances. (Oh what a fine singer, songwriter and poet he is!) The Canadians were a well-represented bunch that included Ian Tyson and a spectacular new voice to Elko, Colter Wall. WOW what a week, what a blur! Good to be home.